Since Disease X could emerge from a variety of sources and strike at any time and place, global security is vulnerable and it can be life-threatening. This is why, it is important to be prepared. Good health and well-being is central to the social, economic and environmental dimensions of Sustainable Development Goals as enshrined in SDG3. In order to promote “physical and mental health and well-being, and to extend life expectancy for all”, Agenda 2030 states that “… we must achieve universal health coverage and access to quality healthcare. No one must be left behind”. The Agenda 2030 for health has challenges from emerging and re-emerging diseases in the last few years such as SARS, Ebola, Chegas and Zika etc. In the month of February 2018, WHO in its report, the strategy and preparedness plan, (also known as the 2018 R&D Blueprint) identified another pathogen namely ‘Disease X’. 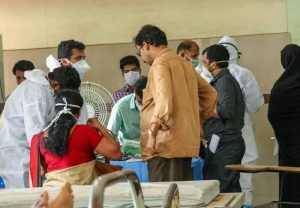 According to WHO, the mysterious pathogen “represents the knowledge that a serious international epidemic could be caused by a pathogen currently unknown to cause human disease”. Earlier, ‘Disease X’ was known as a “known unknown” disease. The cause of Disease X could be biological mutation, such as Spanish Flu or HIV. WHO has enlisted Disease X in the “List of Blueprint priority diseases” (first made public in December 2015 and later reviewed in January 2017), along with eight better-known diseases such as Crimean-Congo haemorrhagic fever (CCHF), Ebola virus disease and Marburg virus disease, Lassa fever, Middle East respiratory syndrome coronavirus (MERS-CoV) and Severe Acute Respiratory Syndrome (SARS), Nipah and henipaviral diseases, Rift Valley fever (RVF) and Zika. According to WHO, these diseases are posing a significant risk of an international public health emergency for which there are no, or insufficient, counter-measures. WHO stressed on further research and development, including surveillance and diagnostics for such rising threats. The most important concern of Disease X is its source of origin. Disease X could emerge from a variety of sources and strike at any time and place, which makes global security more vulnerable. It may rise naturally as well as through an accident or act of terror. The possibility of Disease X is life-threatening which is why it’s important to be prepared. John-Arne Rottingen, chief executive of the Research Council of Norway and a scientific adviser to the WHO committee, rightly said, “It is likely the next big outbreak will be something we have not seen before.” More likely, said Rottingen, Disease X could be sparked by a zoonotic disease – one that jumps from animals to humans – and then spreads to become an epidemic or pandemic in the same way H1N1 Swine flu virus did in 2009. UN and other global agencies should develop and strengthen global health systems, which will allow the globe to create counter-measures at speed i. e. vaccines and diagnostic tests etc. Following that, WHO also aims to raise awareness about how humanity’s choices can potentially pose a great threat to our species. Such comprehensive estimates have not been available so far for all major diseases and risk factors. Thus, the Government of India should aim to estimate the disease burden and risk factors on a priority basis. Diseases, like Eboba, Chageas, MERS and Zika, cannot be taken lightly by any of the nations in the globe. International Health Regulations (IHR) is the only available international legal mechanism to deal with such problems of emerging and re-emerging diseases at the global level. India should work closely with WHO, in tune with IHR, to keep its people safe and secure from such rising threats. Disease X has raised an alarm for the global community to come together in the fight against rising threats of diseases. In the present scenario, the health burden is beyond the control of an individual State. WHO should come forward to improve the global health governance, and change IHRs in keeping with the changing pattern of diseases. Only then, it will be able to communicate and coordinate with the member states in sharing the information related to emerging and re-emerging diseases. The rise of new infectious diseases need more attention and support from the international community in tune with achieving the Agenda 2030 for sustainable goals, which clearly prioritizes health as a key agenda among the 17 SDG goals.